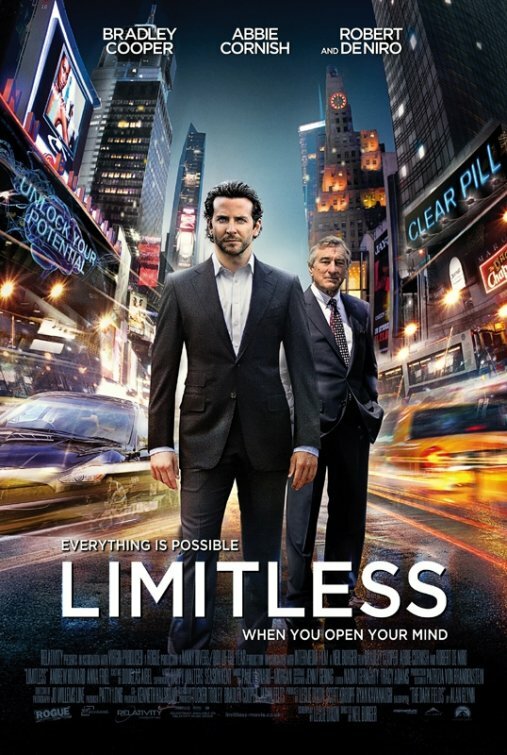 Wannabe writer Eddie (Bradley Cooper) is out of money, heart broken, and has writer’s block until he discovers a top-secret drug with brain-enhancing qualities, which gives him a four-digit IQ. Robert De Niro plays a billionaire on the trail of Eddie’s secret and Abbie Cornish plays our hero’s skeptical girlfriend. Soon, Eddie finds himself haunted by blackouts and hunted by bad guys. This is silly material, sure, and very high concept, but the actors – particularly Bradley Cooper and Robert De Niro (both in form in their respective roles) have a lot of fun in this film, which does not take itself seriously. This is a smart, stylish and hugely entertaining movie that makes you wonder “what if?”.